As a business owner, you have enough on your mind without having to worry about your insurance needs. You want to have the confidence that the business you've built is covered by a company that understands your health insurance needs. 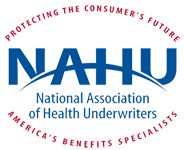 "Unraveling the mysteries of health insurance”. If you don't see what you need, please let us know. Your business is very important to us. If you have questions or would like to know about all the policies that we offer please contact our office.